Parkinson’s disease is a chronic neurological disorder characterized mainly by problems with body movements, although other symptoms may also be present. It is the second most common neurodegenerative disorder after Alzheimer’s disease, and one of the most common movement disorders. It occurs when the brain’s nerve cells (called neurons) degenerate, leading to a shortage of dopamine – a neurotransmitter involved in controlling body movements. As Parkinson’s progresses with time, the amount of dopamine produced by the brain decreases, leaving a person unable to control movement normally. Parkinson’s disease is life altering but not life threatening. Who can develop Parkinson’s disease? Parkinson’s disease generally affects people who are more than 60 years old, though younger people may also develop it (rare). The risk of developing Parkinson’s increases with age, and it affects both men and women – though men are 50%[i] more likely to get it than women. What are the common risk factors associated with Parkinson’s disease? Age: Young people rarely get Parkinson’s disease, which generally begins in middle or late life. People normally develop the disease at the age of 60 or more. Heredity: The chances of developing Parkinson’s disease increase slightly if a close relative suffers from this disease. However, the risks are still very low unless many relatives in the family suffer from this condition. Gender: Men are generally more likely to develop Parkinson’s disease than women. What are the most common symptoms of Parkinson’s disease? An important thing to remember is that symptoms can vary from person to person. Early stage symptoms may be barely noticeable – such as a very slight shaking of hands, difficulty in walking and/or postural imbalance. However, over time the symptoms may get progressively worse. How many people have Parkinson’s disease in India? Although many contradictory figures exist, it is estimated that at least 6 million[iii] Indians suffer from Parkinson’s disease. This number will continue to grow with rising aging population and life expectancy. Although the risk of Parkinson’s disease increases with age, statistics show that men are slightly more likely to develop Parkinson’s disease than women. Like many neurological disorders, the exact cause of Parkinson’s disease is unknown. However, scientists and researchers are researching to uncover other possible causes, such as genetic and environmental factors. What this means is that if a person’s parent has Parkinson’s, their chances of getting it are 4-9%higher compared to others. Parkinson disease is diagnosed after a thorough neurological examination. This is best done by a neurologist who is a movement disorder specialist. As several diseases can mimic the symptoms of Parkinson’s disease, it is important to exclude these after a thorough clinical examination and appropriate tests, such as brain imaging. What other diseases can mimic the symptoms of Parkinson’s disease? There are many diseases that can mimic the symptoms of Parkinson’s disease. Their treatment is different from that of Parkinson’s disease. What this means is that treatment options can help control the symptoms so that a person with Parkinson’s disease can maintain as normal a life schedule as possible – through treatment including supportive therapies. 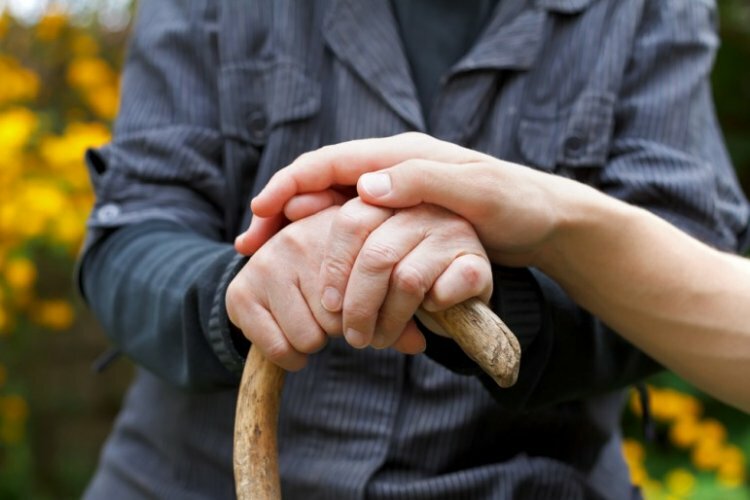 As research continues to find a cure for Parkinson’s disease, studies have demonstrated that if treatment is started immediately or shortly after diagnosis, the quality of life of a person with Parkinson’s (PwP) can be managed more effectively. Although Stem Cell Therapy for treating Parkinson’s disease is being heavily researched, it is not yet a recommended treatment option anywhere in the world. o Physiotherapy – to improve general health and fitness – and decrease slowness in movement, stiffness, gait and balance problems. o Yoga – to gently increase flexibility and balance – via stretching movements and poses. o Speech Therapy – to improve clarity and volume of speech – via tips and techniques for better communication. getting up from a bed, car, chair etc. o Diet and Nutrition – to help ease symptoms such as constipation (very common), difficulty in swallowing and eating, heartburn, etc. – by eating a healthy and appropriate diet to enhance the effect of medication. o Counselling/Psychotherapy – to help adjust to current conditions and improve the quality of life through different means. o Cognitive Rehabilitation – to help address problems like forgetfulness, difficulty in concentrating and paying attention, planning, etc. – via appropriate tips and strategies. o Creative Therapies – to promote a sense of well-being via art, music and dance. Dance and movement therapy (DMT) is playing an increasingly important role with physiotherapy to improve movement related problems. o Pet therapy – (through dogs, cats, etc.) can help increase flexibility, movement and – just as importantly – emotional health. o Meditation – to reduce stress and pain, and improve general sense of well-being. How can I help a relative who’s just been diagnosed with Parkinson’s disease? Can people die from Parkinson’s disease? Although Parkinson’s disease is a progressive disorder, it is not a fatal disease. What are some interesting facts about Parkinson’s disease? Google co-founder Sergey Brin carries the Parkinson’s disease gene,[v] which makes him genetically more susceptible to the disease by 20-80%. The Parsi community in Mumbai has among the world’s highest incidences of Parkinson’s disease (affecting about 328 out of every 100,000 people[vi]). Men are 50% more likely to develop Parkinson’s disease than women. Ayurveda medication was being used in India 4500[viii] years ago to treat the symptoms of Parkinson’s disease (L-dopa and Mucuna Pruriens). The risk of Parkinson’s disease is reduced by cigarette smoking[ix] – though it is definitely not recommended! How can Parkinson’s disease be prevented? Since the exact cause of Parkinson’s disease in not known, proven ways to prevent it are also not known. According to the Journal of American Medical Association, a 30-year experiment in Honolulu found that “men who did not drink any coffee were five times more likely to exhibit symptoms of Parkinson’s disease than men who drank more than 28 ounces of coffee each day.